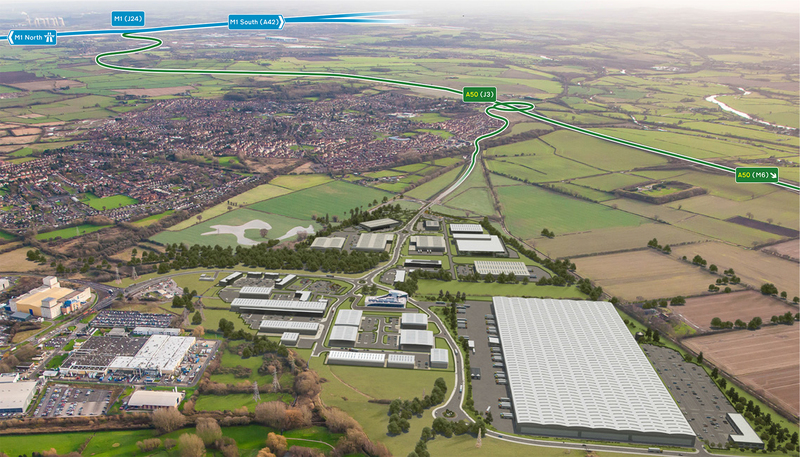 Infinity Park’s location near J3 of the A50 is ideal for accessing markets throughout the UK. 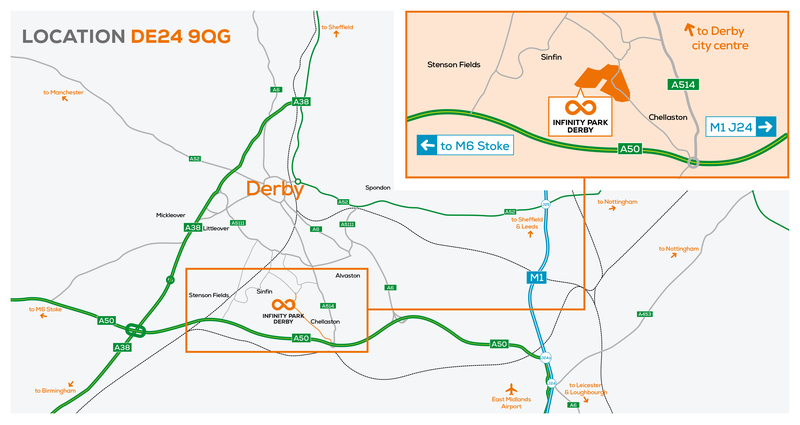 It is just 15 minutes drive from the M1, J24 and 45 minutes drive from the M6, J15. Port access, north and south, is easy via these arterial routes and East Midlands Airport is less than 30 minutes away.